Oscar is 10 months old! Our little piglet is growing up so quickly, and he has transitioned from being a scared, squealing baby to a confident, challenging toddler. Looking back, his days of adjusting to home and potty training seem so distant. Although I loved when he was tiny and cute, it has been fun watching Oscar develop his personality and interact with the world around him. 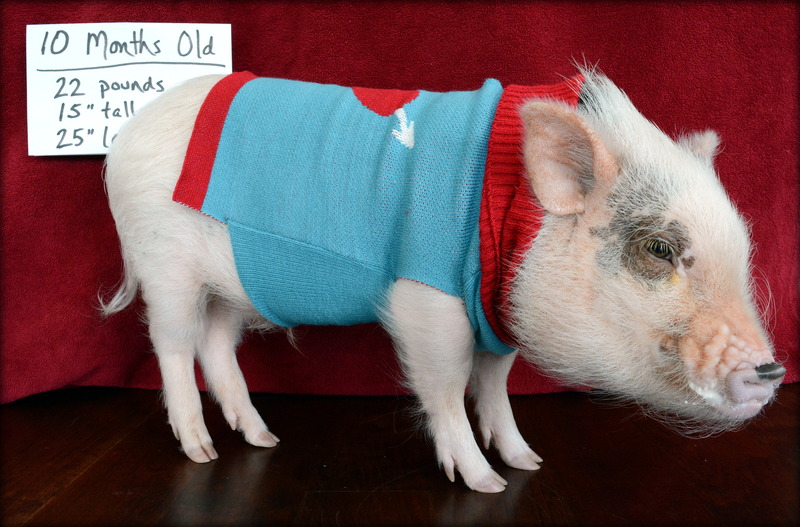 We’ve had our challenges with him recently, but overall I’m so happy with the little toddler pig he’s become. Our biggest challenge with Oscar last month was his biting. After working with him daily to correct the behavior, we have it mostly under control for now. The first time Oscar started biting, he was a baby and responded well with some simple positive reinforcement. This time, however, Oscar’s biting was more frequent and took more serious intervention. I have spent a lot of time over the past month learning about methods to stop mini pig aggression, and my husband and I have both been working to train Oscar using those methods. The main technique, which I will discuss in a future post, is move the pig, and it has really helped us better understand Oscar and significantly reduce his aggression. Although there were challenges, we also had a lot of sweet moments with Oscar last month. Oscar finally experienced his first snow which he did not enjoy, and he had an amazing weekend recently when the weather warmed up and allowed him to root around in the sunshine. Most important to Oscar were his new foods last month, including natural applesauce and a delicious, juicy orange. 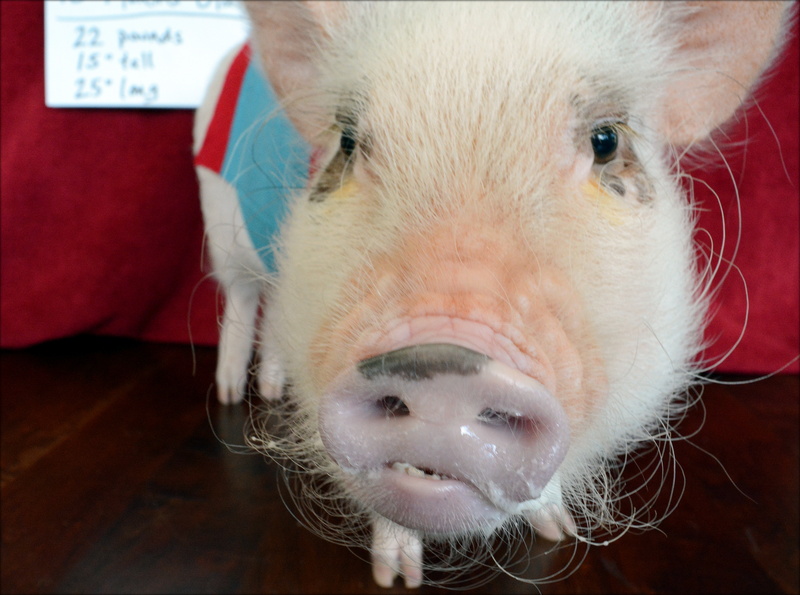 Now that we understand move the pig and are continuing to work through Oscar’s behavior challenges, I am hopeful that next month will be even better. 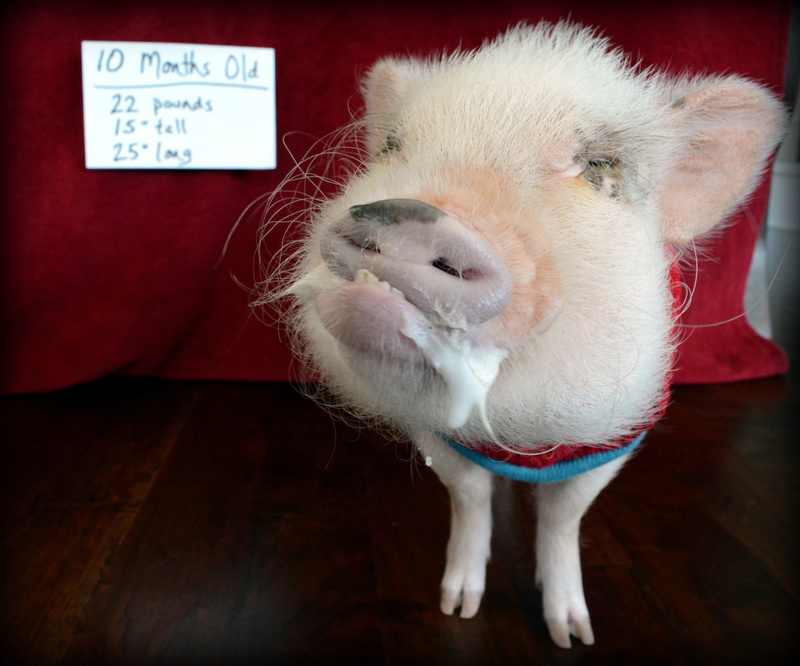 At 10 months old, Oscar is 22 pounds, 15″ tall, and 25″ long. Aww, he looks so handsome in his sweater. And he has the foamiest mouth ever…haha. Hello, what are you feeding Oscar on a daily basis? 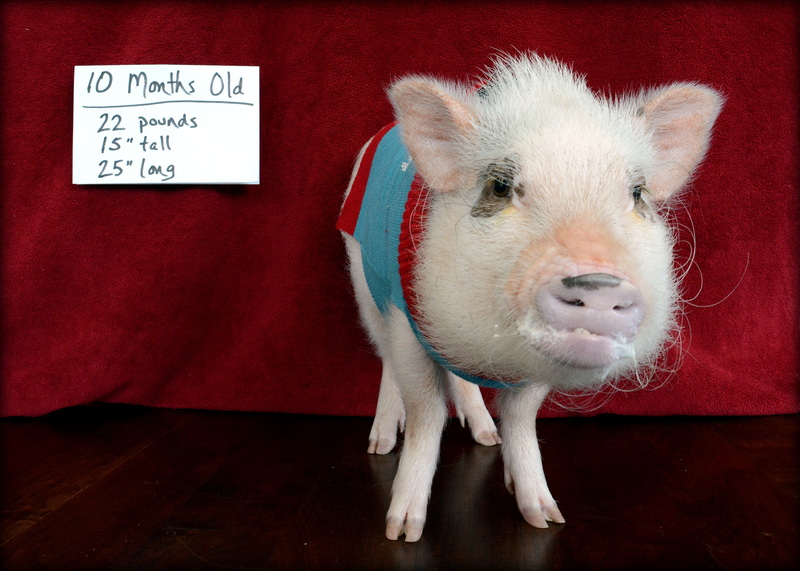 Our pig is half that age and twice that size. She’s obese and we’re having difficulty getting it under control. Btw, our porkchop foams a lot too! !